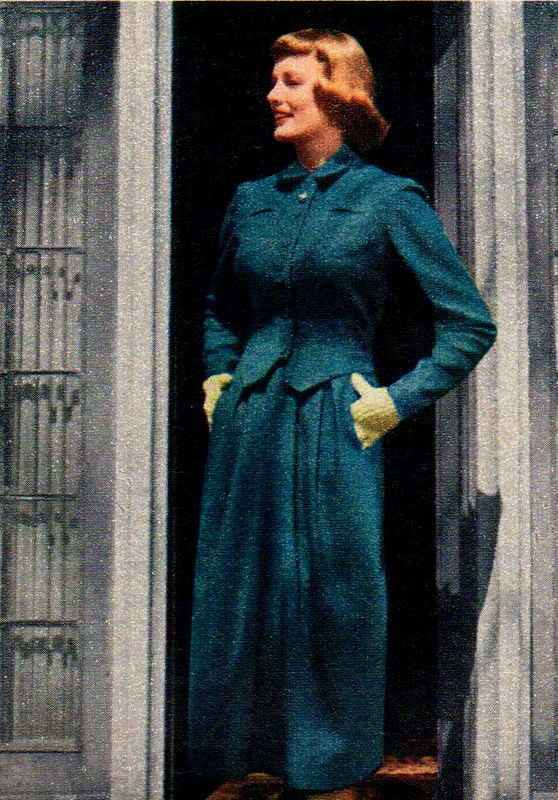 Check out this wonderful back-to-school fashion for the college-bound, straight from 1949 and Woman's Day magazine. This gal is starting the school year with a fine collegiate wardrobe of tea-length skirts, snug jackets with weskit points, and fun boxy toppers. 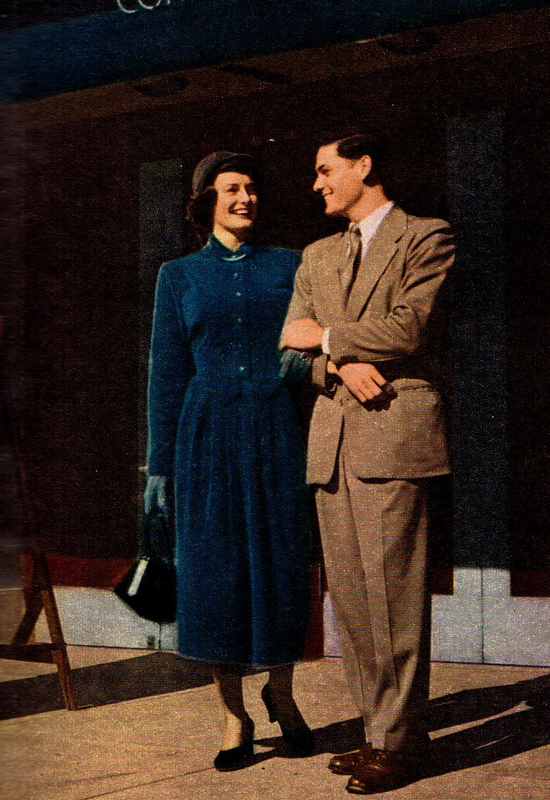 Perfect for all uses - a suit made of a jacket with weskit points and a trouser-pleated skirt in wool. This fabulous, sporty jerkin of bright wool felt is made by leaving the sleeves out of the boxy topper pattern and adding a martingale belt in back. 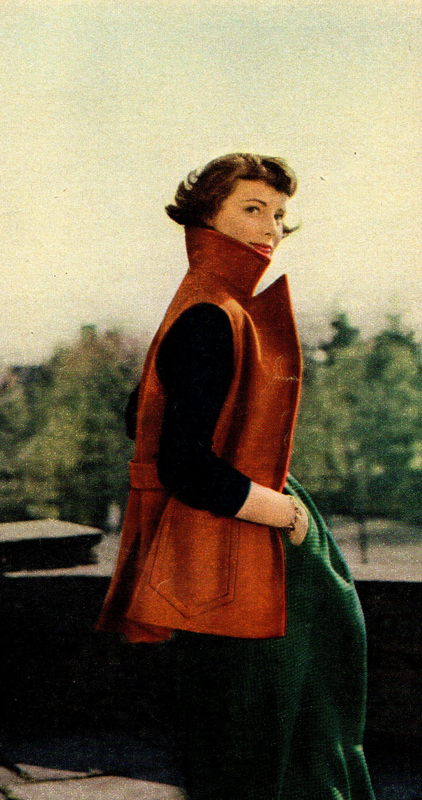 It makes a great warm addition to layer over sweaters and a wool skirt. 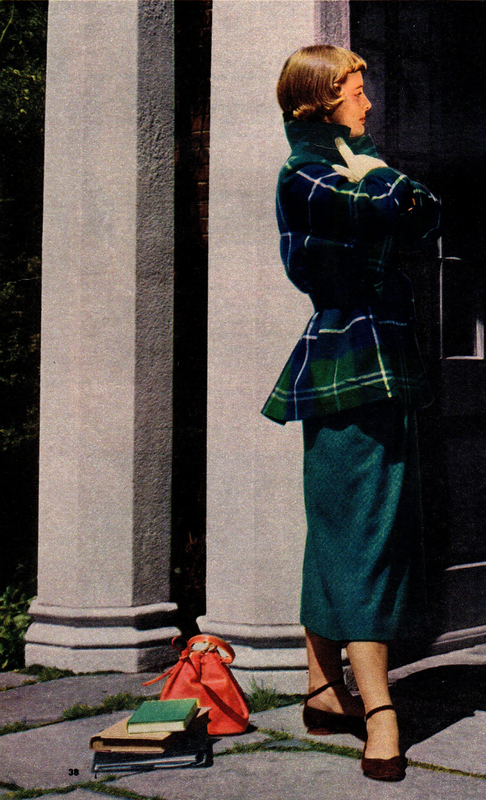 This shirtwaist dress in rayon is a "campus classic" for every day. So demure! Note the flash of color with the handkerchief in the breast pocket - nice touch! 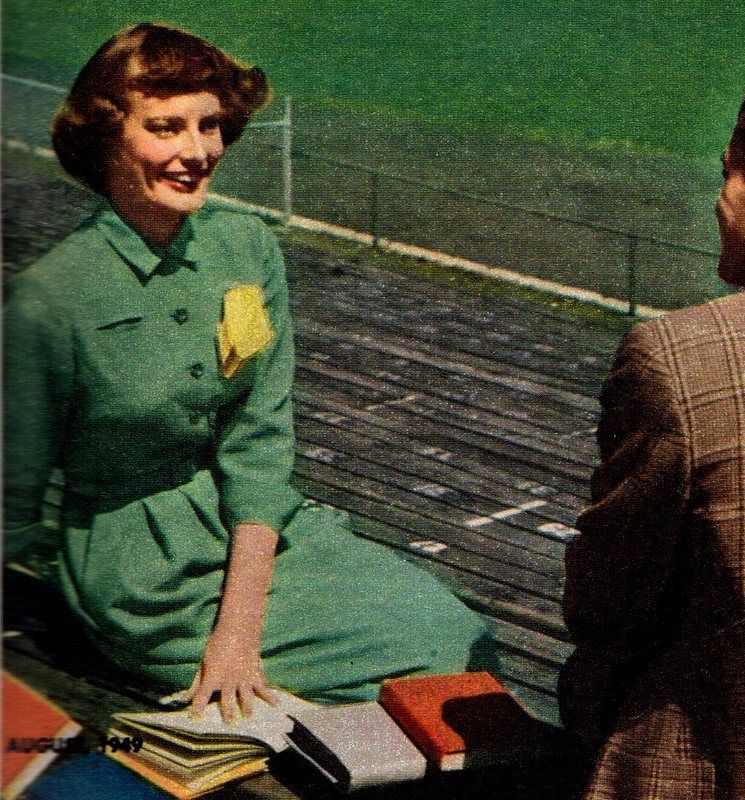 The plaid jacket and green dress are worth going back to school for!